With 30 years of professional experience Duncan leads our work from our Andover and Exeter Offices whilst continuing to support clients with Heritage Consultancy projects for Southern and South Western England. Duncan has worked for Local Authorities and English Heritage providing advice and support on archaeological and Heritage issues. He is a member of the Chartered Institute for Archaeologists (MCIfA) and also a Fellow of the Society of Antiquaries (FSA). Duncan has managed a wide range of projects whilst at Cotswold Archaeology and taken the lead on a number of appeals and Public Inquiries. Working in the private sector, local government and for the national heritage agency he developed a strong understanding of the legislative and policy position that underpins heritage management in the 21st Century. Duncan takes an active role on promoting and co-ordinating outreach and community engagement activities at Cotswold Archaeology, including leading on our partnerships with the Boxford Heritage Project, and the University of Exeter’s Ipplepen Archaeological Project. Duncan has explored new methods of explaining and speaking for heritage. 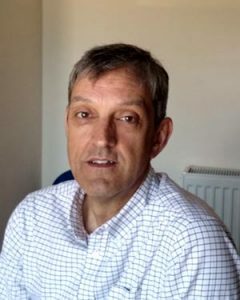 Duncan is an Honorary Associate Research Fellow at the University of Exeter and sits on the Industrial panel for the International Heritage Management and Consultancy masters course at their Penryn campus. His interests lie in exploring new mechanisms to keep heritage relevant and sustainable in economic and social terms into the future.